the last time i do this sort of tag was three years ago, so i think it's appropriate to make a new one! 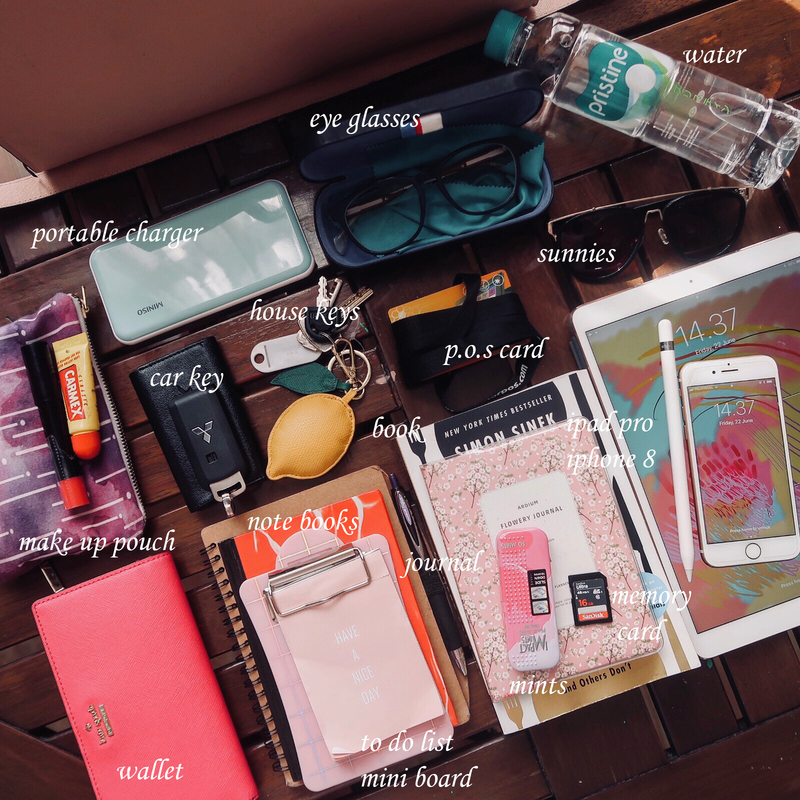 this time around, i want to show you what are the things that i always have in my work bag. 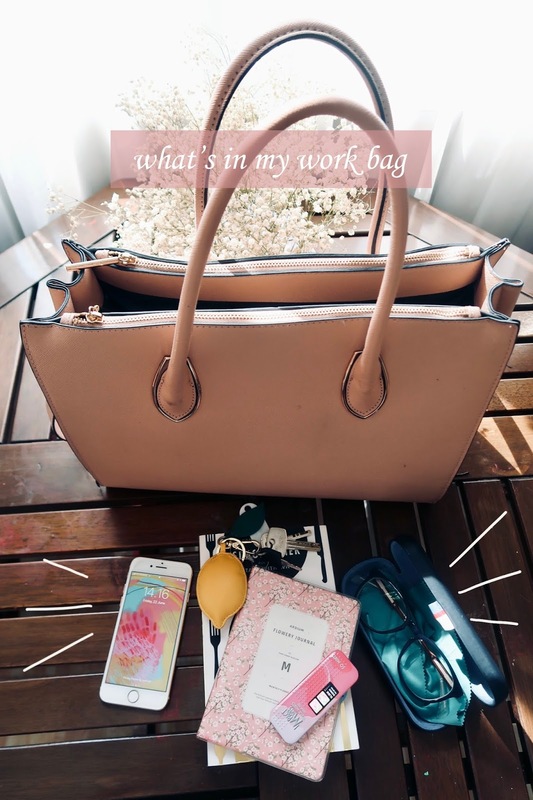 i've been trying to minimise what i carry because i've suffered with a back and shoulder pain from carrying too heavy bags before (it's baaad!) so without further ado, here we go! ♥ portable charger : i'm REALLY bad with charging my phone *grin* my phone is always about to die all the time. 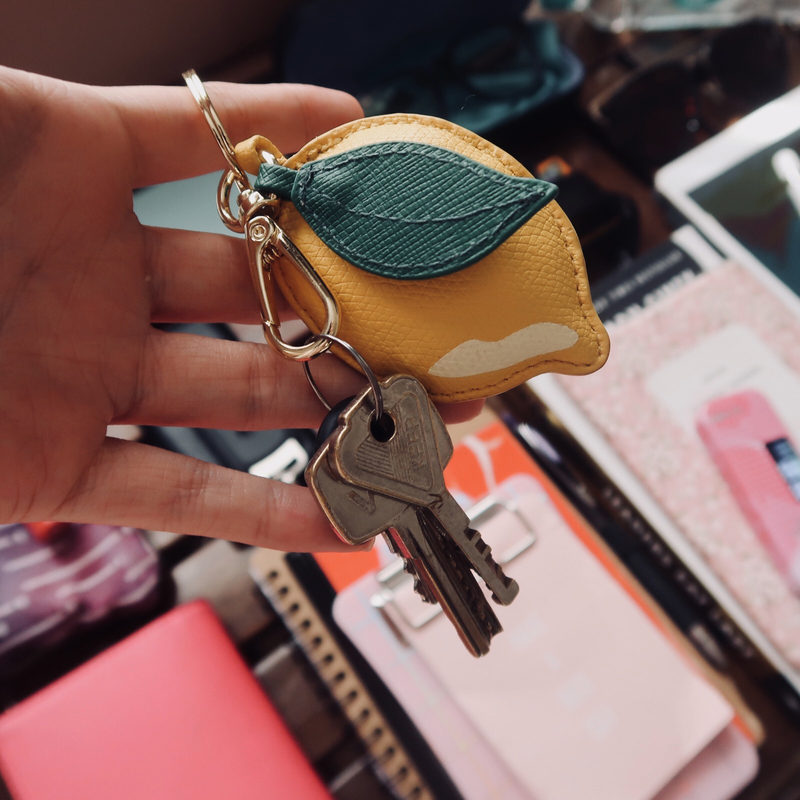 ♥ car key/house keys : in love with my lemon keyring that i bought from H&M! 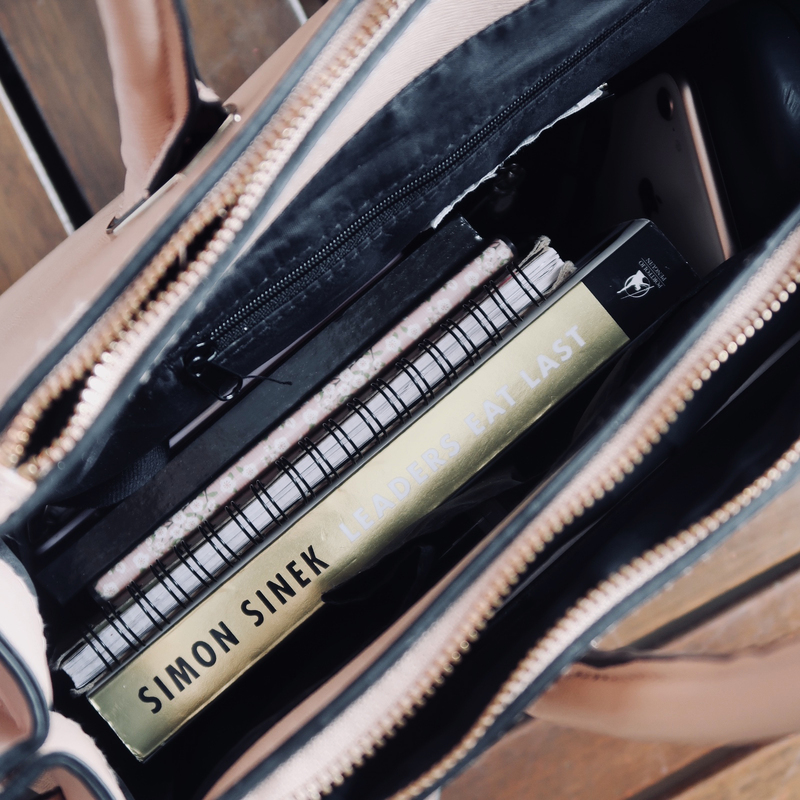 ♥ note books and mini to do list board : note books during meetings are very important to put down ideas and plans. i'm also obsessed with writing lists! ♥ reading glasses : i don't wear my glasses as often as i should. i mostly wear it when i drive at night or when i watch movies in the cinema! 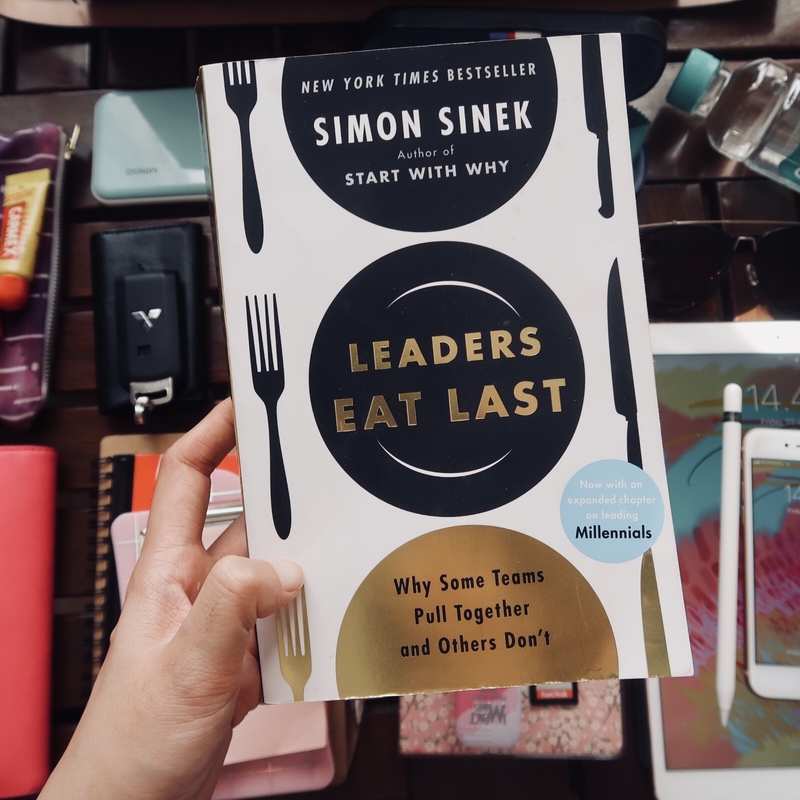 ♥ books : currently reading Leaders Eat Last by Simon Sinek. 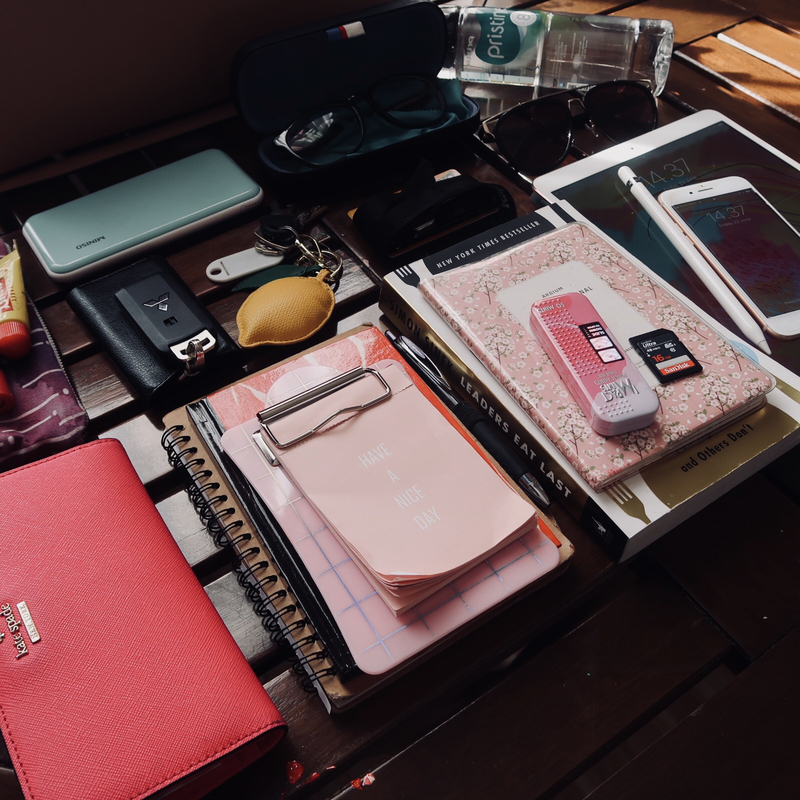 ♥ journal : this sweet little journal help me to keep on track on what my schedules look like, and i also write down all my weekly/monthly plans and to do lists for my work and my art here! 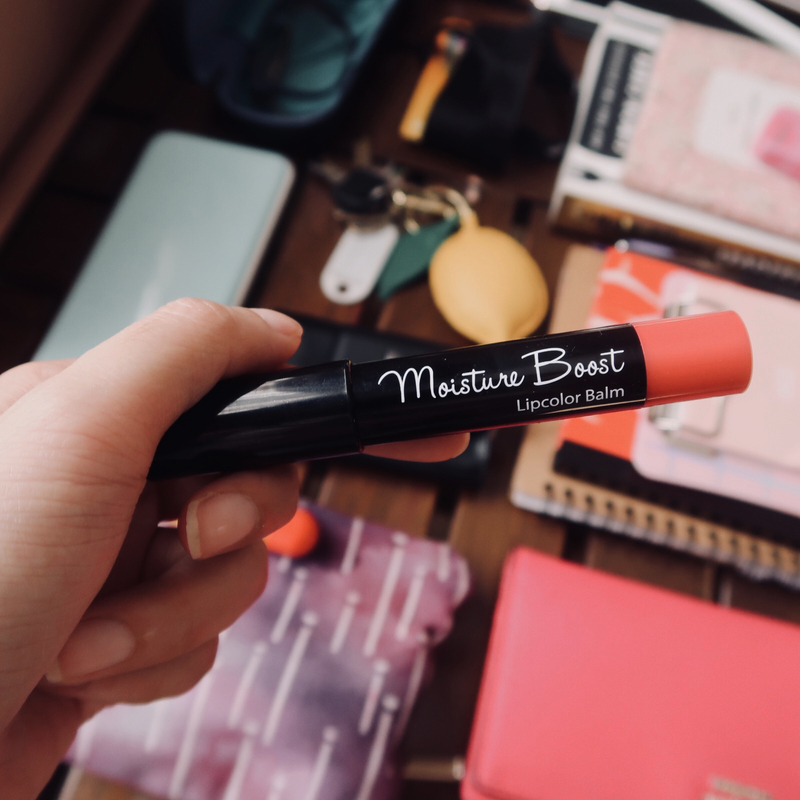 ♥ mints : you want to keep it fresh all day! 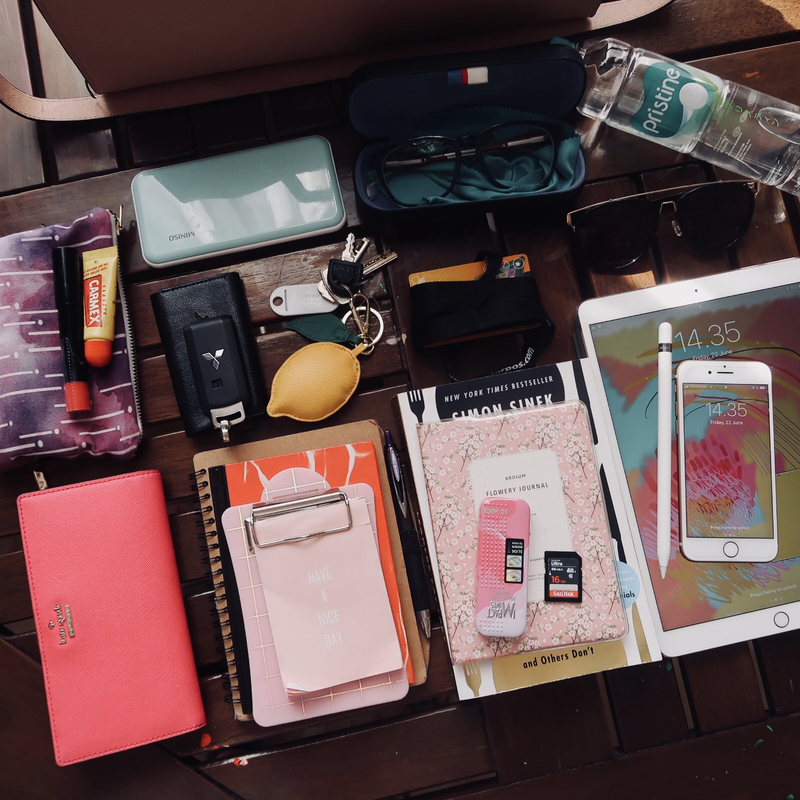 ♥ Iphone 8 and Ipad pro : when i'm outside the studio, i use my Ipad to work on my art. also, i don't like carrying my old macbook because it's way too heavy!